Out of all the Korean products that I ordered, this toner was the one that I was least sure about. 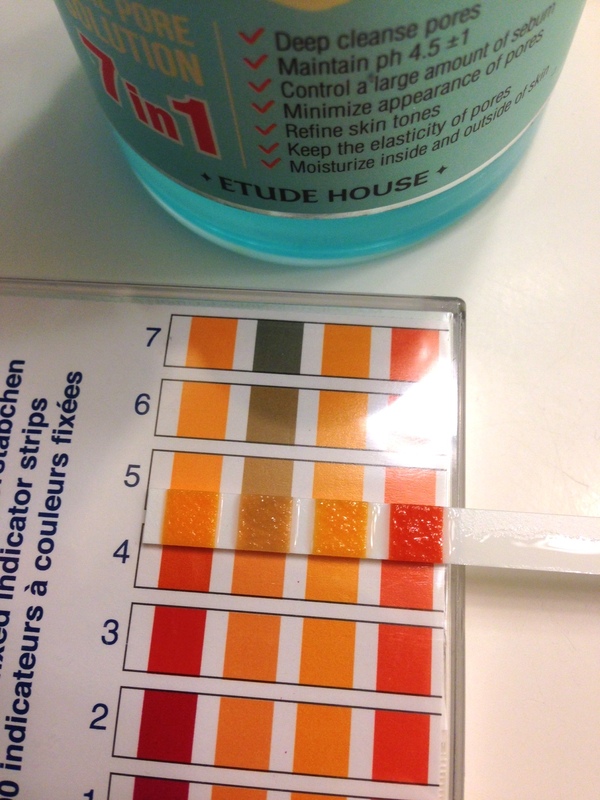 I got this as more of an experiment in how my skin would tolerate low pH products. And because of reasons I’ll explain further, I really didn’t expect to like this product so much. But surprise, surprise, Etude House Wonder Pore Freshner, coupled with my BHA exfoliator has ended up being crucial to balancing my skin out and keep it acne free. I’ve tried both the older version of this toner and the newer version, and I’m happy to say that I love the newer version just as much! Etude House’s Wonder Pore Freshner is a really popular toner. There are a lot of reviews online, so I got to do a little bit of studying before I purchased it. This is the older version of the toner (it has since been “upgraded” to a new formulation – review below), and it claims to do 7 things for your skin: maintain pH of 4.5, refine skin tone, keep the elasticity of pores, deep cleanses pores, minimize appearance of pores, control a large amount of sebum, moisturize inside and outside of skin. I got this toner for one reason: its promise to “maintain pH of 4.5.” To maintain a healthy moisture-barrier for the skin, a lower pH (close to 4.0) is generally better for keeping skin acne-free and healthy. (Please read my post on healthy skin here.) And this was the only toner that I could find that had the lowest advertised pH level. But since I’ve never (to my knowledge) used a toner with such a low pH level (most of them are around 5.5), I got this toner as an experiment to see how my skin would do with lower pH products. I tested this toner, and it is around 4.5, but maybe slightly closer to a 5.0 than 4.0. 1) I’m kind of put off by Etude House’s cutesy packaging. I just have a hard time trusting that a product is efficient when it’s clearly packaged for teenage (or even pre-teen) girls. And while I’ve experimented with Etude House’s Collagen Moistfull line, I found the collection so-so, and maybe only appropriate for younger skin with no real problems such as dryness, acne, sensitivity, etc… So because of this I didn’t have high hopes for this product. 2) I was suspicious of the high amount of Alcohol in this product. Ingredients: Water, Chrysanthellum Indicum Extract, Alcohol Denat, Glycerin, Butylene Glycol, Glycereth-26 Betaine, Sea Water, PEG-60 Hydrogenated CAstor Oil, Dosium Hyaluronate, Hydrolyzed Hyaluronic Acid, Citrus Medica Limonum (Lemon) Fruit Extract, Cycmbopogon Schoenanthus Extract, Oryza Sativa (Rice) Bran Extract, Prunus Mume Fruit Water, Uncaria Gambir Extract, Nelumba Nucifera Flower Extract, Cinnamomum Zeylanicum Bark Extract, Sanguisorba Officinalis Root Extract, Pelargonium Graveolens Extract, Taraxacum Officinale (Dandelion) Leaf Extract, Chrysanthemum Morifolium Flower Extract, Chamaecyparais Obtusa Water, Pulsatilla Koreana Extract, Dissodium EDTA, Phenoxyethanol, Caprylyl Glycol, Ethylglycerin, 1,2-Hexanediol. As you can see, Alcohol Denat is the third ingredient in this toner. That is a lot! And while I do believe that a little bit of alcohol in a well-formulated product is perfectly fine (sorry, Paula! ), I hesitated to use a toner where alcohol was one of the main ingredients. I expected this amount of alcohol to irritate my sensitive cheeks and to make my rosacea worse. BUT boy was I wrong! After experimenting (and going on and off of it) for the last 6 weeks, I’ve realized how crucial this toner is to maintain healthy skin and now I’m in LOVE with it! 1) You have to use this after the right cleanser. A too harsh cleanser will dry out your skin, and this product will subsequently be too harsh, especially in the wintertime. I first used this toner after my CeraVe Foaming Cleanser (which is super mild – pH of 5.5) and I found that this freshner felt GREAT after this cleanser. Occasionally I find the CeraVe cleanser to not feel “cleaning” enough, but when I used this toner, my skin feels refreshed and clean, but not stripped. When I used this toner after Skinfood’s Egg White Pore Foam or after Mizon’s Real Rice Foaming Cleanser, my skin stung a little and my cheeks turned red. Definitely, for people with sensitive skin, this toner should only be used after a SUPER mild cleanser. After many years and lots of experimentation, I think I’ve finally found the perfect cleanser/toner combo – this toner seriously feels FANTASTIC after CeraVe Foaming Cleanser. 2) My skin LOVES low pH products, especially as a toner. Using this product right after I wash my skin really helps maintain a healthy moisture barrier and prepares my skin for my BHA exfoliator. (The BHA exfoliator works best when the pH level is in between 3.5-4.0. So if my skin is above 5.5 after my Cerave Foaming Cleanser plus 7.0 pH level for the water that I wash it off with, that leaves my skin probably around 6.0 pH level, which is way to high for a healthy moisture barrier if you’re acne-prone. Bringing it closer to 4.5 with this toner really sets the perfect stage for my exfoliator to work efficiently and to keep my skin healthy.) When I do use this toner, I noticed that my pores stop over-producing sebum and I have no acne. As an experiment, I switched to a different toner for a couple of weeks (review will come soon). This other toner definitely was not as low as 4.5, didn’t have alcohol, and was more moisturizing. Within 3 days my acne started to come back. But after 2 weeks and I switched back to the Wonder Pore, sure enough my acne was gone within 3 days. Sometimes I can’t really tell if a product is working until I stop using it, and this was definitely the case with the Wonder Pore Freshner. 3) Alcohol is NOT the devil ingredient that it is made out to be. In fact, alcohol can work really well in a well-formulated product, even if it is one of the main ingredients. My skin is super sensitive. My cheeks turn bright red and get itchy over a lot of different ingredients, which is why I cringed when I first saw that this product had such a high amount of Alcohol Denat in it. BUT this product also has a lot of soothing extracts and moisturizers to counter-balance the Alcohol content. So in the end, after using the right cleanser, I found that my skin did not react in a bad way to the Alcohol in this, even if I followed it up with my BHA exfoliator (which can also irritate sensitive skin). I think the reason why Alcohol has been considered to be a demon in skin products is because it can hurt skin that has been over-stripped or mistreated by other products. For example, using a cleanser that is too harsh. Or if an alcohol-based toner has other irritating ingredients in it, like witch hazel. On its own, and on healthy skin, alcohol is not necessarily bad for the skin, but can actually work well. And this product is an example of how an alcohol-based toner can work really, really well, even on super sensitive skin! 4) This toner definitely lived up to do all 7 things that it promised: it maintained a pH of 4.5, refined my skin tone, kept the elasticity of pores, deep cleansed my pores, minimized appearance of my pores, controlled a large amount of sebum, and moisturized my skin. I am honestly SHOCKED that this toner works so well. And I know it does because even though I’ve switched toners twice since I first started using this, I always go back to Wonder Pore Freshner because it leaves my skin looking and feeling healthy, acne-free, and moisturized. All this from a toner. Crazy. So when I found out that Etude House change the ingredients of the Wonder Pore Freshner, I panicked. I contemplated buying out the world’s remaining supply of the 7-in-1 Freshner, and hoarding it in my office like a little squirrel. I’m glad I didn’t resort to squirreling, because I found that the newer 10-in-1 Freshner worst just as well, despite having completely different ingredients! Ingredients: Water, Alcohol, Butylene Glycol, Betaine, Mentha Arvensis Extract, Vaccinium Myrtillus Fruit/Leaf Extract, Sugar Cane Extract, Citrus Medica Limonum Fruit Extract, Citrus Aurantium Dulcis Fruit Extract, Chamaecyparis Obtusa Water, Gingko Biloba Leaf Extract, Acer Saccharum Extract, Gentiana Lutea Root Extract, Artemisia Absinthium Extract, Arnica Montana Flower Extract, Achillea Millefolium Extract, Glycereth-26, Glycerin, Ethylhexyl glycerin, Sodium Hyaluronate, Acetic Acid, Disodium EDTA, Phenoxyethanol. This new version looks like a total reformulation, with very few ingredients the same as before. Unfortunately, there is still quite a bit of alcohol in this, but strangely enough it doesn’t bother my skin. Also, this product doesn’t smell that strongly of alcohol. There are also a lot more plant extracts in this, which I always like! I checked the pH, and surprisingly enough it seems lower than the 7-in-1 version. It’s around 4.5, but this time it looks like it’s closer to 4.0 than 5.0. This toner promises to benefit your skin in 10 ways, and I’m happy to report it did everything that it promised! It balances my skin to an ideal pH level (4.5 is fantastic for my skin! ), it refines my skin tone, cleans my pores, and makes my skin look brighter (so I assume that it help remove dead skin cells). It definitely minimizes the size of my pores, and controls a sebum. It does moisturize a little bit (compared to American and European toners), but I don’t expect it to. This toner is more about balancing my pores with a low pH product and to keep my sebum under control. I’m happy to report that this newer 10-in-1 formulation works just as well as the older one! I am super impressed with both of these toners. This product, after my CeraVe cleanser is my HOLY GRAIL of cleanser/toner combo. My skin feels amazing afterwards and it stays looking amazing all day long. In fact, my favorite part of my skincare steps is now just applying this toner because I love the way it feels on my skin. Pros: Everything about this toner is amazing. Unbelievably, it has delivered on all its promises and now this product (plus my BHA exfoliator) is probably the most important products to keeping my skin acne-free and healthy. Cons: The alcohol content might bother some. Do you wear it everyday ? Which do i use first the collagen moistfull or the wonder pore? 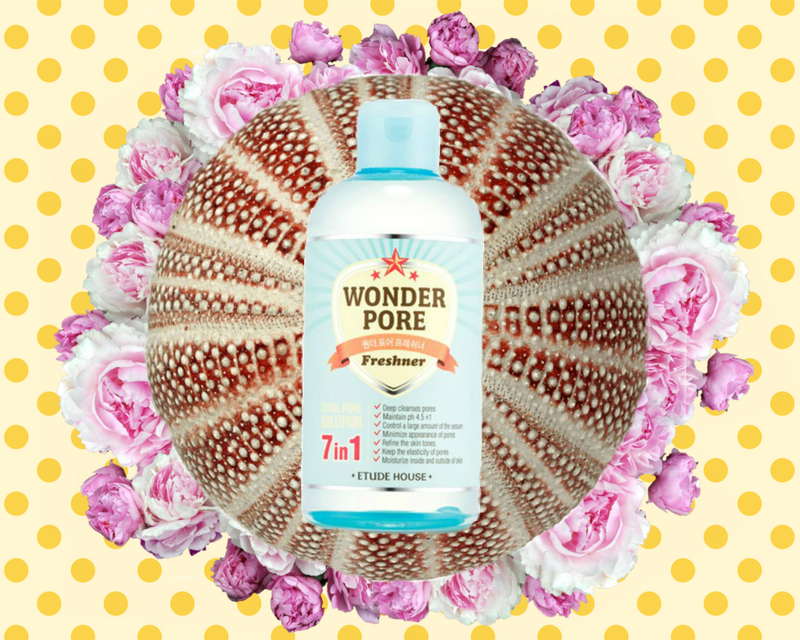 Use the wonder pore first! 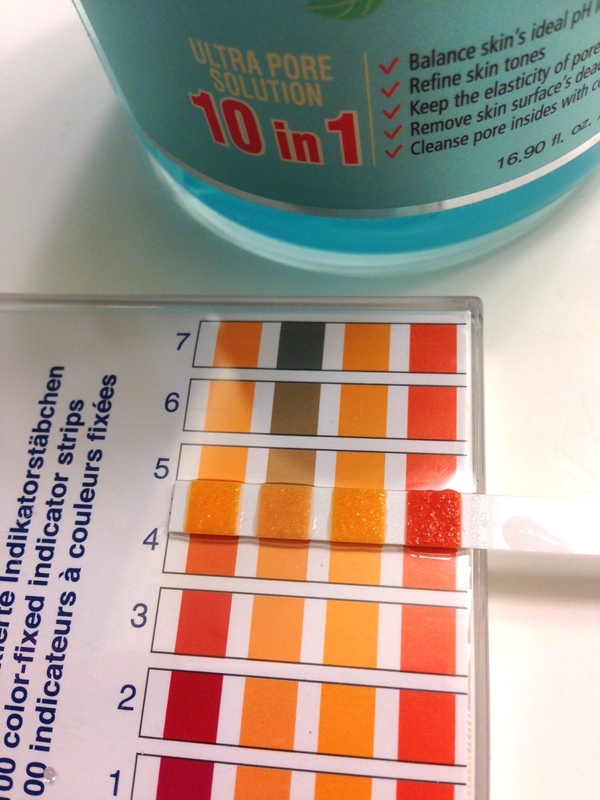 This helps bring the pH level to a healthy level for your skin before adding moisturizers. Well, i’m from malaysia. It’s obvious that it’s really hot in Malaysia. And im a giddy type when it comes to products/ So, i’ve tried lots of local products and ended up hving acne all over my face. Which then i apply 100% aloevera gel extract, and it helps! But there are so many scars! So i checked out your blog and interested in buying the mizon repair cream. As well as this one, as i have no toner before due to my sensitive skin! Definitely gonna try it! hi what type of cleanser do u use cuz i got bad pimples n sensitive skin ? So great that this worked so well for you 🙂 Wasn’t really that great on my skin unfortunately but loved the review!